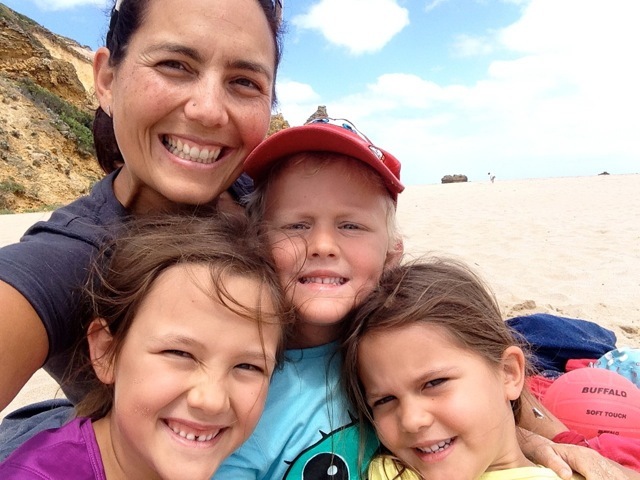 I’m a mum of three crazies – Maia, my 7yr old going on 16, going on 40; and 5year old b/g twin terrors, Emeline and Eli. Wife to a world travelling hubby who somehow gets asked on to a ridiculous number of boards and committees and spends a lot of time away…though am thankful when he is here, he is very supportive. I have lived here in the Red Centre for pretty much 10 years now which is amazing. Before we moved here I wasn’t a runner and never really had been, though I was active and had played a number of sports on and off. We spent most of our pre-NT summers sea kayaking and winters skiing both of which you cannot do here. In 2012 I finished breastfeeding…forever…around when my twins turned 2 and I decided it was time to get “me” back. I lost 20kg and was the lightest I remember ever being, and in the process discovered running and a happier me. 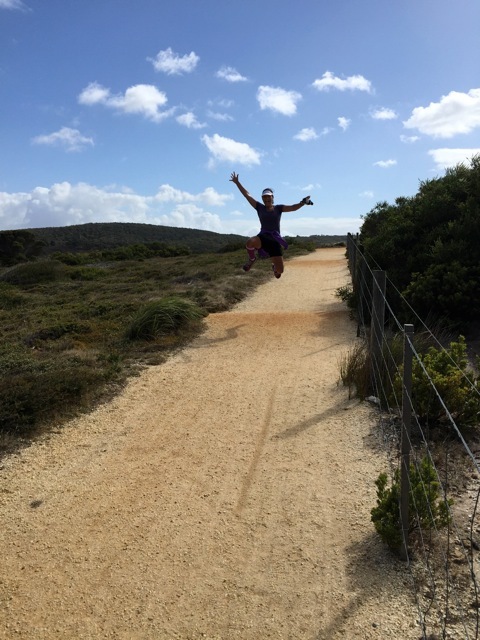 I did my first ever fun run in January 2013 down at Bells Beach. It was “only” 4k but at that point I had still never run that far. From then I was hooked. I did my first ever 10k on Mothers Day that year (a distant dream my whole life that I never thought would actually happen). And then my first ever half marathon at our Running Festival in August that year. WHAT ARE YOU TRAINING FOR NOW? hmmm….my training has been pretty haphazard over the last few months, with a few pretty major personal issues, and my goals have had to change a few times. 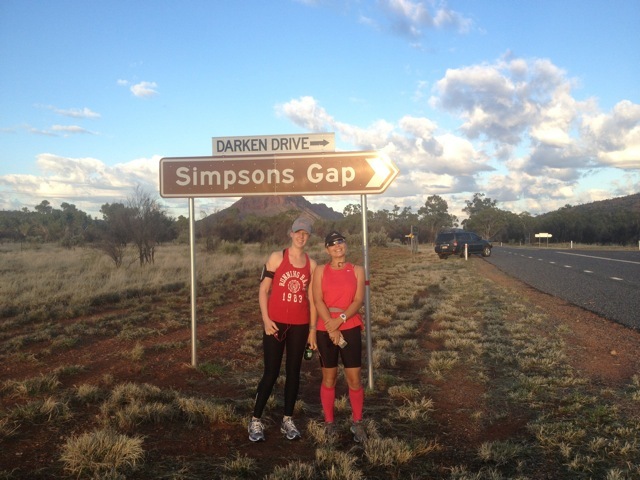 I guess Run Larapinta has been my goal, which is happening here for the first time at the end of August. I have wanted to see a trail event happen here for ages and was so excited when this event was announced. 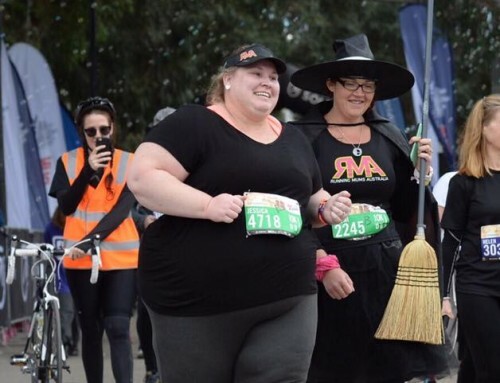 My goals for that have had to change a little and have entered the Short course Stage 1 night run and am the tail runner for the short course stage 3 – so I will be chasing you down ladies if you are coming to join us. WHAT DOES A TYPICAL RUNNING WEEK LOOK LIKE FOR YOU? My first year of running was pretty much all road as I knew nothing else as I had never been a runner, so I just did what the program said. But after doing my first trail event I haven’t looked back and am blessed to be surrounded by many amazing trails around here – just not many events. I do a mix of road and trail but I love the trails the most – exploring, the variety, the views and the freedom. I take whatever I can get but I guess most of the actual events I have been in have been around the half marathon distance. WHAT IS YOUR PROUDEST PERSONAL RUNNING ACHIEVEMENT? Gosh thats hard to say – there are different ones for different reasons. My first ever fun run just because it was last minute, I’d stepped way out of my comfort zone and it began the journey (or wonderful obsession) that I am now on. 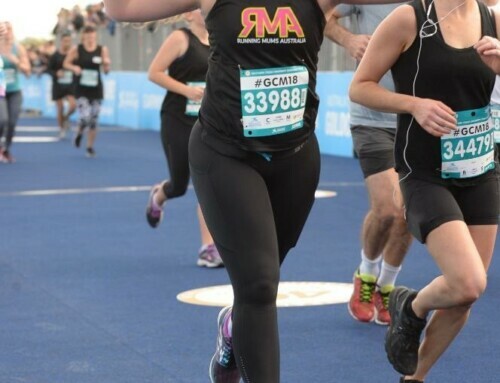 My first ever half as it was something that I never in my wildest dreams ever thought I would do and got to share it with my awesome running buddy and my hubby and kids here in Central Australia. But also after the horrible few months I have had with setback after setback physically and mentally, to have not let that rob me of the joy and freedom I get when running was a huge achievement in itself. it has been a new beginning, new friendships, new challenges, a chance to recharge and refresh, a chance to breathe when everything else around me is crazy. It is strength, it is challenge, it is learning and growing from mistakes. 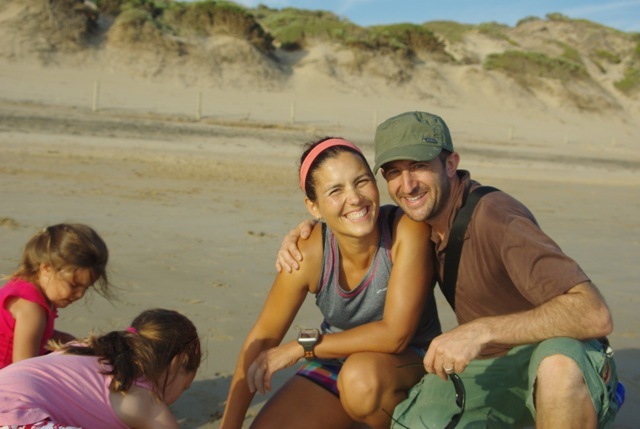 It is being healthy – physically, mentally and spiritually and inspiring my kids and even my hubby. This running thing certainly doesnt come easy to me but in all the chaos it helps me be a better me. 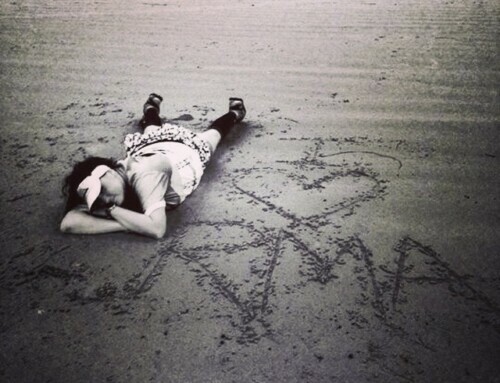 WHAT DO YOU LOVE ABOUT RMA? 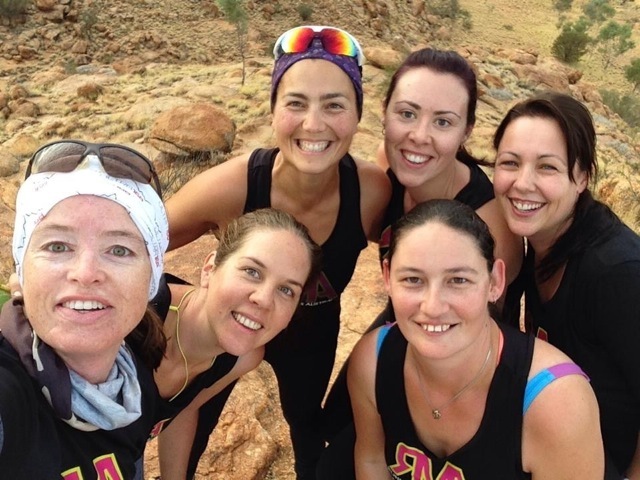 Being “remote”, Running Mums Australia has been an amazing support and encouragement to me. 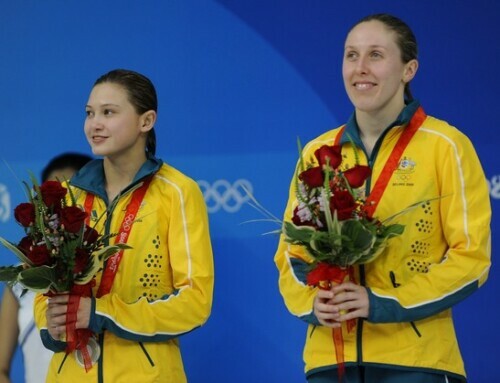 I feel like I have friends and supporters Australia (and even world) wide that just get what it is to not only be a new runner, a runner in training, an injured runner, but throughout it all trying to juggle being a mum too. I have loved that no matter where on your journey you might be there are so many others who have walked/ran the same path or are currently doing it with you. That if I am travelling interstate to an event, that even if I was travelling alone that there are other RMAs willing to catch up, cheer you on, and offer advice/support every step of the way. It has made not only this running journey, but also this crazy roller coaster ride of motherhood so much easier. WHO DO YOU NOMINATE FOR THE NEXT MEMBER SPOTLIGHT? 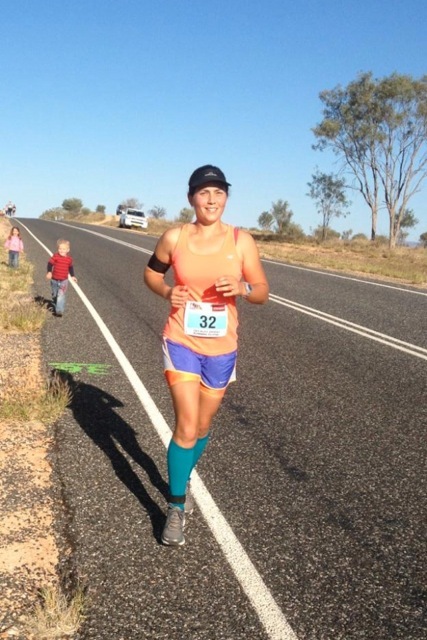 I nominate Liz Camilleri – having run in Iraq and now making the transition back to Australia would love to hear her story. 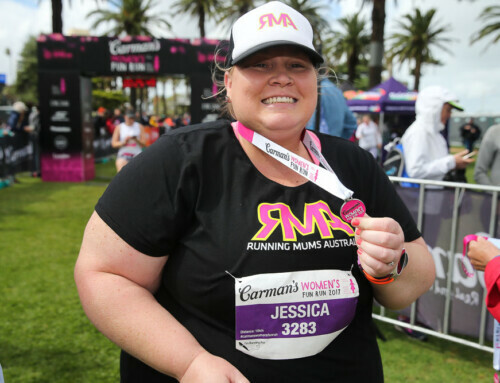 The Long Weigh Down With Jess – My first race was 10k!